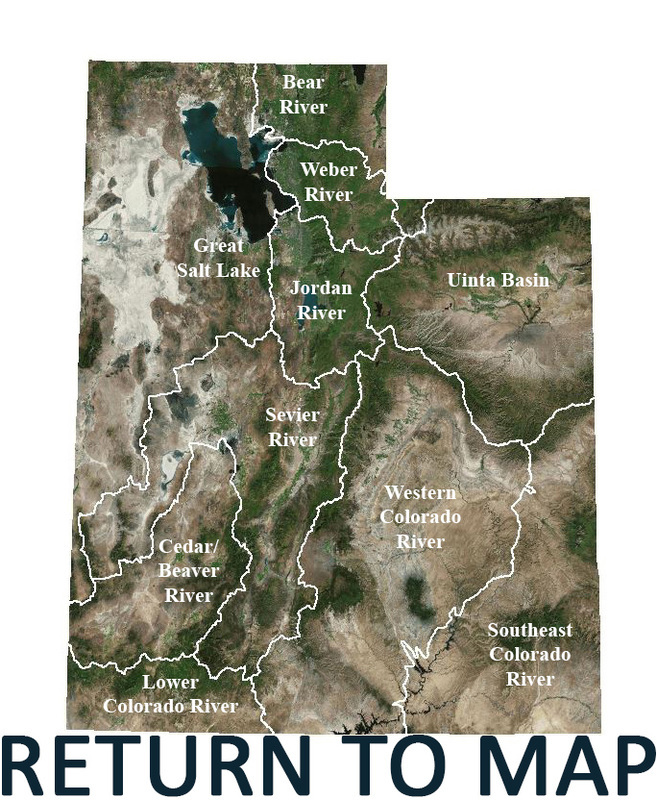 The Southeast Colorado River Watershed is located in southeastern Utah. The watershed covers 10,900 square miles and ranged in elevation from 3700 feet to 12,700 feet. Average annual precipitation is about 8 inches per year. Streams for this area are the San Juan River, Dolores River, Mill Creek, Montezuma Creek, La Sal River, Geyser Creek, North and South Creek, Recapture Creek, and the Colorado River. Federal and Indian reservation land make up 85% of the watershed. Major water uses are agriculture, irrigation, recreation, municipal uses, and wildlife. Water quality issues include metals such as selenium, total dissolved solids, increased water temperature and radiation. Pollutant sources include mining, agriculture, and natural occurrences.